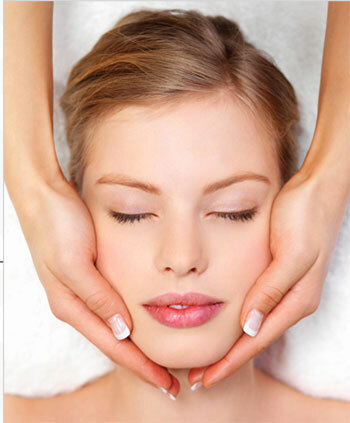 Put your best face forward, by scheduling one of our customized facials. We utilize the finest products in order to have your skin looking and feeling the best it can. At-home care is your first line of defense, but your skin will need back up, in order to combat environmental factors and aging. Employing a regular facial schedule with us will ensure a skin transformation. Minimized pores, fewer breakouts, and faded hyper-pigmentation are just a few of the benefits of amping up your skin care routine with Elite Edge Salon & Spa. Nourishing skin treatment removes dull skin cells, exposing fresh, new skin. Strong anti-oxidant botanicals give free radical protection while advanced moisturizing ingredients completely rehydrates for soft and glowing results. Use treatment in conjunction with home care regimen to protect from free radicals and to retain skin tone and hydration. Alpha and Beta hydroxyl acids remove dead skin cells that make skin appear dull. This noninvasive treatment leaves skin refreshed, smooth, and soft. Fine lines and wrinkles are diminished. Intense moisturizing masks insure a baby soft glow. A home care regimen is recommended to maintain appearance and maximize results. Free your face of impurities and infuse it with intense moisture. Dull skin cells are removed to expose young skin. Highly concentrated antioxidant botanicals offer free radical protection while sophisticated ingredients completely rehydrate for a supple and glowing complexion. A home care regimen is recommended to maintain appearance and maximize results. Effective treatment for redness related to both vascular and non-vascular conditions. Advanced botanical products minimize redness areas, provide free radical protection, and hydration. Skin redness is minimized. A home care regimen is recommended to maintain appearance and maximize results. Tired of looking at dull, lifeless skin every morning? This facial includes cleansing and a glycolic acid application and a soothing mask that leaves your skin looking smooth and refined. Perfect for teens!! Therapeutic deep cleansing treatment removes excess oil and unclogs pores. Stimulating and clarifying clay mask, enhanced with anti-inflammatory ingredients, diminishes breakouts and regulates oil accumulation. Concluded with an oil free moisturizer for a shine free appearance. Use treatment in conjunction with home care regimen to maintain healthy complexion appearance. Diamond tip micro derms effectively buff away outer layers of the skin. acne scarring, fine lines and other skin imperfections benefit dramatically from this treatment. Fine lines and wrinkles are diminished. Intense moisturizing masks insure a baby soft glow. Exfoliation, massage and parrafin treatment on the hand, feet or both with any facial.